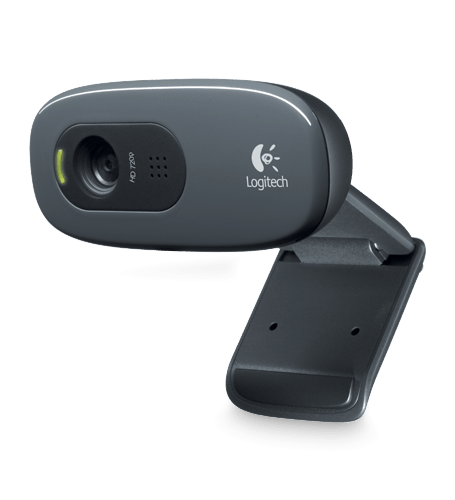 The Logitech C270 HD Webcam is an affordable webcam with a microphone built-in for a plug-and-play solution. The C270 has 1-click Facebook and YouTube upload, digital zoom, and UVC compliant. Optimized for Laptops and Windows. The Logitech C270 is an affordable webcam that films in 720p HD or takes 3MP photos. A built-in microphone with noise reduction technology makes your videos or Skype calls clear. 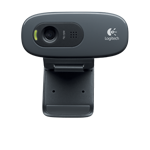 The C270 webcam has automatic light correction to adjust for the best picture quality, and Logitech fluid crystal technology makes for smoother video and sharper pictures in richer colors with clearer sound.